While wishing the POTUS' "house be destroyed" in traditional Arab fashion, Abbas may have destroyed his own house, the Palestinian Arab one built of cards. Mahmoud Abbas, chairman of the Palestine Liberation Organization, has delivered a speech triggered by his rage at the President of the United States Donald Trump, going so far as to hurl the most bitter curse in the Arabic language at the POTUS: "May your house be destroyed." This imprecation does not merely relate to someone's present home, but to all the members of his family being thrown into the street to lead lives of destitution, humiliation and shame. Only someone familiar with Middle Eastern culture understands the real significance of this curse. The question that naturally rises is what happened that brought Abbas to the point where he is willing to burn his bridges with the US President and deliver a speech whose import is the severing of relations with the country which serves as chief funder of UNRWA, also pushing the US president towards a negative stand on the "Palestinian Issue." "Jerusalem, Capital of Palestine," is an idea created after the Six Day War and further developed after the Oslo Accords were signed in September 1993. Arafat turned it into a mantra, while official Israel – Shmon Peres, Yossi Beilin, Alon Liel and their cohorts – did nothing to stop him. They told us that the expression is meant for a Palestinian Arab audience, i.e. for "internal use" only. "Millions of shahids are on the march to Jerusalem!!" Arafat shouted day and night, but they told us to ignore it, that these were empty words, merely a pipe dream. The world, led by Europe, went along with this Palestinian house of cards, financing it with billions of dollars over the years in the hopes of turning it into a real concrete structure, simply ignoring reality. Europe supported the establishment of a "Palestinian peace-loving state alongside Israel" while forgetting the fact that the PLO ideology calls for destroying the Jewish State and that its logo includes the map of that "Palestine" reaching from the Mediterranean Sea to the Jordan River. The world perpetuated the "Palestinian refugee problem" despite the fact that not one refugee remains of all the others who existed in the 1940s. Even Germany, which absorbed and rehabilitated the Sudetenland residents expelled from Czechoslovakia, did not demand that the Arab world do the same and absorb the "Palestinian refugees," whose problem was created as a result of the Arab armies' invasion of Israel one day after the Jewish State declared its independence. Europe saw Germany as the party responsible for the Sudeten refugee problem and its solution, but did not do the same for the Arab states and the Palestinian refugees. That double standard is what perpetuated the Palestinian Arab refugee problem, turning it into a central bargaining chip in negotiations between Israel and its neighbors, reaching the point where Ehud Barak agreed (in the Taba talks of 2001) to a "symbolic return" of tens of thousands of those refugees – and he was not the only one to agree to this idea. The world did not recognize Jerusalem as Israel's capital and allowed Jerusalem to turn into another major bargaining chip in the "Peace talks" whose only purpose – at least according to t he Arab side – was to weaken and shrink the State of Israel and bring it to a state of collapse that would make the Jews lose hope and leave the region for the countries they had lived in before they came to rebuild their ancient homeland. Enter Donald Trump, a businessman who deals with construction – not houses built of cards, but the kind meant to last for generations. He understood that the Palestinian structure is made of cards, left standing only because of the world's going along with European leadership, American liberal circles, the Arab states and a few Israelis suffering from burn-out. Trump understood that the Palestinian ideological structure is full of holes and decided to pull two foundational cards out of the ephemeral structure: the Jerusalem card and the refugee card. From the minute Trump recognized Jerusalem as Israel's capital the Palestinians – both Hamas and the PLO – began engaging in frenzied activities, disturbances on the ground and political maneuvering in international corridors. They understood that Jerusalem as Israel's capital is an insurance policy of sorts for the Jewish statee. To the Jews, Jerusalem is real, backed up by history and the Jewish religion, while it is nothing but "fake news" for the Arab and Muslim world. Jerusalem, however, is still not the capital of a non-established "Palestine" and remains a theoretical bone of contention, so that it could be pulled out of the Palestinian house of cards without Abbas burning his bridges with the United States. And then Trump pulled the refugee card from the house of cards by announcing that he would cease to fund, support and perpetuate it. That act is a thousand times worse than recognizing Jerusalem as Israel's capital, because the refugee issue has been capitalized on for seventy years, with billions of dollars poured into it, all going to waste. UNRWA operates a massive system of wage-earners, schools and aid services running on American money, whose cessation is sure to limit the organizations' ability to breathe life into the "refugee problem" . Without adequate funding, the "refugees" are liable to spread out and be absorbed in the areas to which they move on, within the Arab world and outside it. The "refugee problem" and its threat to Israel might even disappear. Abbas cannot let that happen for several reasons: First, he himself is a refugee born in Safed in 1935 and his own legitimacy as a Palestinian leader is based on that fact. Second, the refugees have become addicted to living on foreign aid and taking it away will force them to work like everyone else. Third, every refugee whose funding has ceased will decide to solve his problem independently: Some will emigrate to other countries, others will be absorbed in their current locations, and the refugee problem will disappear after all those decades spent keeping it alive with massive amounts of European and American money. Abbas understands that his house of cards, lacking Jerusalem and refugees, is about to collapse and disappear and with it all the plans to destroy Israel. The feeling that he has lost his compass is what made him lose his temper and abandon the discretion that has always characterized his behavior, leading him to return to the depths of Arabic culture with an imprecation aimed at Trump –"May your house be destroyed." He used the worst of Arab curses, expressing the wish that Trump's home be destroyed, his family thrown out into the street and that he and they live in poverty and shame, turning into homeless objects of pity to passersby. There is no more fitting expression for Abbas' despair and disappointment as he witnesses the collapse of the Palestinian Arab house of cards once Trump removed its Jerusalem and refugee foundations. 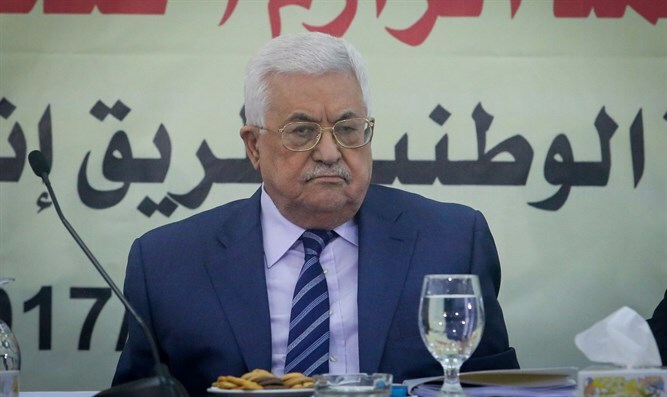 The speech Abbas delivered to the PLO members was a powerful reflection of his feelings. He sees the Palestinian project as facing an existential threat, with a strong and steadfast Israel , flourishing and successful, democratic and economically sound facing a culturally, ideologically, personally and politically divided Palestinian side in which the PLO-Hamas enmity stymies any hope of political progress. He belongs to a society broken into tribes, extended families and groups which never really adopted the idea of a Palestinian national ethos and never abandoned traditional family loyalties. That ideological house of cards cannot survive without the Jerusalem and refugee cards. Abbas also does not have the Arab world standing behind him. Quite the contrary, the Iranian issue has pushed many Arab states closer to Israel and since the Arab nations are mired in a plethora of their own internal problems, the Palestinian problem is now seen by them as nothing more than a nuisance. Abbas' speech this week, one in which he dug his own grave, symbolized the collapse, death and burial of the "Palestinian issue" and this is the time to find an out-of-the-box solution for it – on the lines of the "Emriate Solution," the only socio-political model that works successfully in the Middle East. 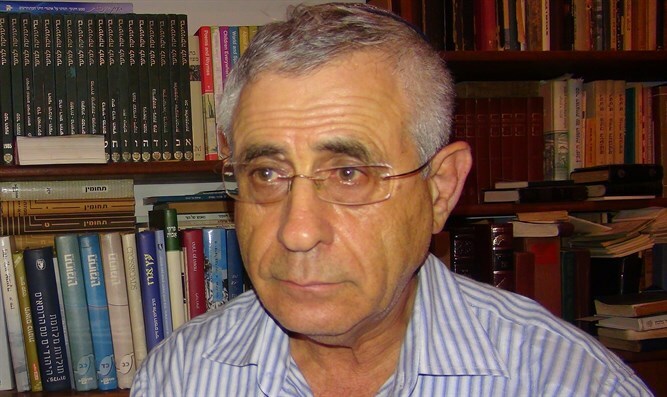 Written for Arutz Sheva, translated from the Hebrew by Consulting Editor Rochel Sylvetsky.